Hot Deal – Refurbished Nikon D7200 Body for $769 ! Today Only Deal – Up to 70% Off Select Crucial and Lexar Memory ! Amazon US has a gold box deal for today only, you can save up to 70% off on select Crucial and Lexar Memory. Several Lexar SD memory card are lowest price online ever. 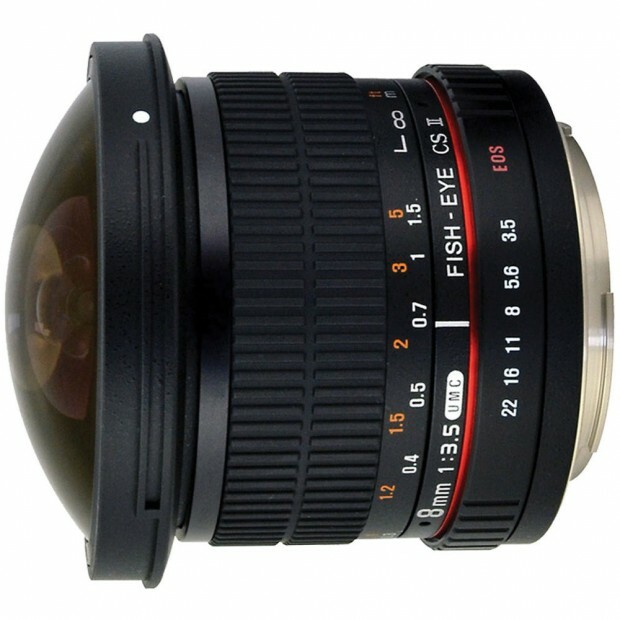 New Low Price – Rokinon 8mm f/3.5 HD Fisheye Lens with Removable Hood for $176 ! Adorama via eBay has a limited supply deal on Rokinon 8mm F3.5 HD Fisheye Lens. This is the newer “HD” version of this popular lens, which features a detachable lens hoodfor full-frame shooters to get the widest field of view. Hot Deal Back – Nikon D750 for $1,399 at Photo Video 4 Less ! The hot deal for Nikon D750 is back, eBay top rated USA seller Photo Video 4 Less now has Nikon D750 body for sale at $1,399 again. Over 130 sold already. This is currently lowest price for gray market Nikon D750. Nikon USA authorized dealer BuyDig has a great refurbished deal on Nikon D800E. Hot Deal – Tokina AT-X 11-20mm f/2.8 PRO DX Lens for $429 ! Tokina USA authorized dealer Roberts Camera via eBay has a great deal on Tokina AT-X 11-20mm f/2.8 PRO DX Lens for Nikon F mount. Hot Deal – Nikon DX 85mm f/3.5 and 35mm f/1.8 Lens Kit for $497 at B&H Photo ! B&H Photo Video has a hot deal on Nikon Macro & Portrait DX lens kit for a special price. Hot Deal – Refurbished Nikon D7000 for $349 at Roberts Digital (Authorized Dealer) ! Nikon USA authorized dealer Roberts Digital via eBay has a great refurbished deal on Nikon D7000. This is currently lowest price for D7000. Hot Deal – Original Nikon EN-EL15 Battery Pack for $24.99 ! eBay USA top rated seller Daily Deals Electronics has a great deal on Nikon EN-EL15 battery pack. Refurbished D3300 w/ 18-55mm Lens for $309, Refurbished 24-120mm Lens for $469 at BuyDig ! BuyDig has several hot deals on refurbished Nikon DSLR cameras and lenses.